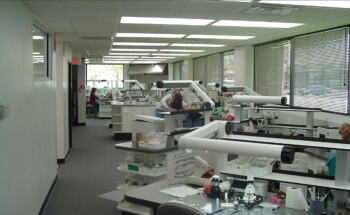 Lovett Dental Laboratory, Inc. is a cosmetic dental laboratory specializing in all aspects of Crown and Bridge Dentistry and Implant Technology, digital and traditional. 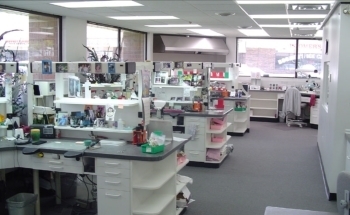 Established in 1982, Lovett Dental Lab has proven to be a leader in the cosmetic dental ceramics industry. Our focus remains on creating and delivering superior restorations with natural aesthetics and comfortable fit available in today’s market. At Lovett Dental Lab you are family, not just an account number. We constantly strive to show you the respect you deserve while earning your trust. We are proud to have an extensively trained staff that is instrumental in keeping abreast of the latest technologies, materials and implant procedures. 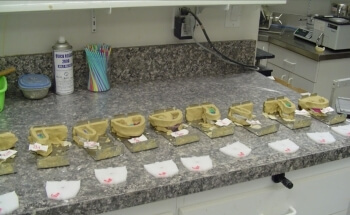 All products used in our lab are in line with the latest techniques and materials available to the dental profession. 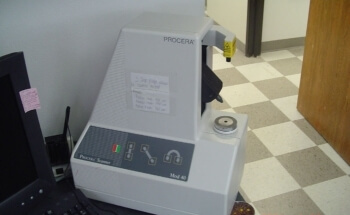 We offer superior restorations at some of the most competitive prices in the high-end laboratory industry. 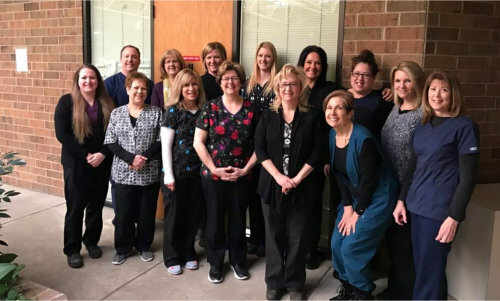 Locally family owned and operated for over 35 years, we are proud to serve our Dentists here in Northwestern Ohio and indeed and all over the Country. We are thankful to work with so many excellent Dentists who provide their patients with the latest in precision prosthetics. They motivate us to strive for excellence both for them and their patients; a true team effort at the forefront of patient care. Lovett Dental Laboratory, Inc. continues our journey of excellence in Cosmetic and Implant Dentistry by taking the time to get acquainted with each of our doctors preferences ensuring that our restorations work meets or exceeds the expectations of each doctor and on every occasion. 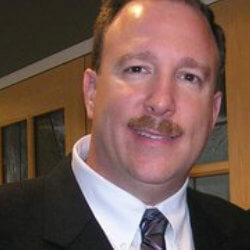 Lovett Dental Laboratory Inc. continues to embark on a journey to achieve excellence in Cosmetic and Implant Dentistry.